The study, from the Department for Education and Institute for Fiscal Studies, says women with a degree earn 28% more than non-graduate women. But almost a third of male graduates went to a university likely to give them a “negligible” earnings advantage. The report, based on tax records of people who went to school in England and then went to university in England, Wales or Scotland, shows a woman who has a degree earns £6,700 more per year, on average, than a non-graduate woman. How do these extra earnings compare with fees of £9,250 per year? But a male graduate earns £2,700, on average, more than a man without a degree. The greater benefits of a degree for women reflect the relatively lower earnings of non-graduate women – they are more likely to be in part-time rather than full-time work and might be in lower-paid jobs. The figures used by the IFS are about total earnings, rather than per hour, so women with children, working part-time, will have lower incomes. For men, the financial gains of a degree are much less certain. And 33% of male graduates went to a university in which there was a “negligible or negative impact” on earnings compared with those without a degree. These figures have been adjusted to take into account the background of students and previous academic achievement – making it a like-for-like comparison. The report comes as a review is examining the future of tuition fees in England – with suggestions that fees of £9,250 per year and average loans debts of £50,000 are to be reduced. But the report shows that apart from gender, the type of university and subject have a significant influence on future income. Medicine, economics, maths and science are likely to deliver higher earnings. 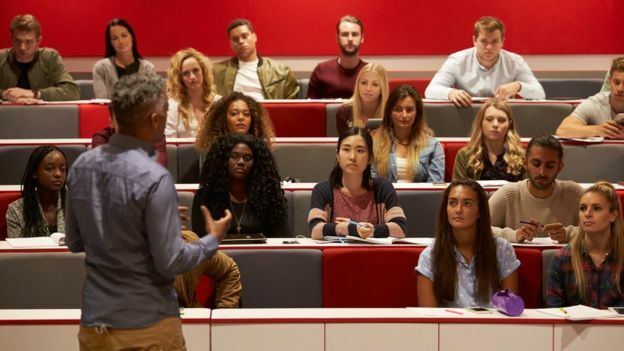 Going to a Russell Group university is linked to increased earnings – but the data suggests at least one of the leading universities, so far unnamed, has graduates with salaries no higher than non-graduates. These factors can combine to increase or decrease earnings – so that women taking medicine can earn 75% more than female non-graduates, while men taking an arts degree have likely earnings 14% below male non-graduates. The graduates least likely to be high earners are the men who have studied an arts degree at a modern university. Jack Britton, co-author of the report with Chris Belfield, says the study shows “university is an excellent investment for women”. For men, the figures might look “disappointing”, says the IFS researcher. But he says it is “important to bear in mind that returns are likely to grow quickly later in life since graduates tend to see faster pay growth than non-graduates”. The Universities Minister, Sam Gyimah, said it was important that there was “transparency” of information for applicants to university. “This shines a light on where good quality degrees are – and what we want to do is crack down on those courses that are not delivering value,” he said. 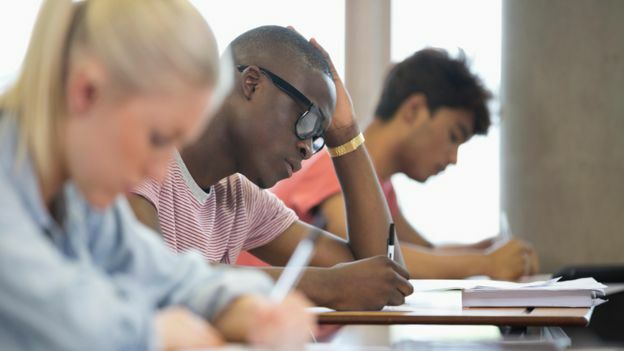 “It is also clear from the analysis that there are a clutch of courses at certain universities which are not delivering the financial outcomes for students,” said Mr Gyimah. Nicola Dandridge, chief executive of the Office for Students, said the research showed that for “the vast majority of students there are clear financial benefits of getting a degree”. But some universities “will need to ask themselves tough questions about how well they are preparing students for life after graduation”.